This Letter continues to examine how Jesus built His leaders. 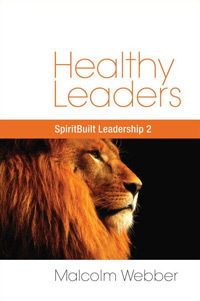 Leaders build leaders, and Jesus took personal responsibility for each of the leaders He built. He did not delegate this to a “leadership development department” within His ministry. If leadership merely consisted of knowing a bunch of facts and mastering a few competencies, then the great task of building new leaders could be delegated to someone else. But leadership firstly consists of knowing God. And after that it involves issues such as proper relationships with others in accountability, support and servanthood. Moreover, it involves deep issues of character and personal calling. These are matters that cannot and must not be delegated to others. Only a leader who first has come to some level of personal maturity in these areas himself can lead another new leader into experiential maturity. These things do not come from books and seminars; they are only imparted from a leader who possesses them. These things cannot properly be taught in a classroom; they can only be shared in the context of life. This does not mean Jesus’ disciples were always physically present with Him. There were times when He sent them away, giving them tasks that He knew would help them grow and mature (e.g., Luke 10:1). However, Jesus still personally designed the various transformational experiences He gave His disciples. They lived with Jesus, walked with Him, talked with Him, ate with Him, rested with Him and they watched Him in every situation. They saw how He lived, how He reacted, how He dealt with good people, how he dealt with bad people. They watched how He prayed to His Father, how He lived and ministered entirely out of the indwelling life of His Father. They watched Him heal the sick, cast out demons, miraculously feed the multitudes and raise the dead. They watched him in victory; they watched Him in the (apparent) defeat of His rejection and death on the cross. They watched Him cry over Jerusalem; they watched Him agonize over the hypocrisy of His people; they watched Him wrestle with the shortage of true laborers for the harvest. They saw how He exposed the false religious traditions of self-righteous men; they watched Him affirm the genuine purity and faith of the broken. They watched Him talk to God when things were going well and they watched Him pour out His heart to His Father as He struggled and “learned obedience” (Heb. 5:8). Jesus built leaders who were “with Him.” He did not do it at a distance; He did it closely, He did it personally. He did it properly. In our next Letter, we will consider how Jesus demonstrated the way of the cross before His disciples. This month’s recommended book: Going to Church in the First Century by Robert Banks. A classic and practical description of what it means to BE the church instead of just GOING to church. A must read!